Today would have been my Uncle Mick's 60th Birthday. Unfortunately, he passed away nearly six year ago to emphysema and other issues (from smoking!) He left behind two daughters and never got to meet his three grandchildren. Uncle Mick, one of six uncles, had an influence on me growing up. He lived in the same town I did and was the Chief of Police there for twenty some years. 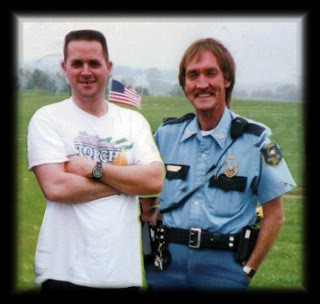 That encouragement to get into law enforcement along with his sense of wit and humor (much to my wife's chagrin) has turned me into the person I am.